MIMOSAS AND ME: Knit Blazer Or Cardigan? Many of you guys are crazy for ties. I know this because my more formal outfits always receive the highest interaction. I know that younger men are starting to interest themselves with formalwear, something that 10 years ago was never even thought of. Whether you're buying vintage ties in thrift stores or investing in luxury neckwear from designer houses the fact remains that many of us have an ever growing tie collection. It can get difficult finding new ways to incorporate these ties into your outfits. Wear one with a suit? We all do it. Wear one with a blazer and odd trouser? Been done before. How about a knit blazer? Or is it a cardigan? Not really sure what to call it, but that must be a good thing. If it doesn’t have a proper name then it’s for sure not being over worn. Try searching for one of these knit blazers next time your shopping. Look for a notch lapel (not shawl). Also this is the most casual of a blazer available so there will always be patch pockets as well as the missing chest pocket. This is a great alternative for those blazers that are on repeat. Pair one with jeans and a knit tie for the perfect semi-casual look. 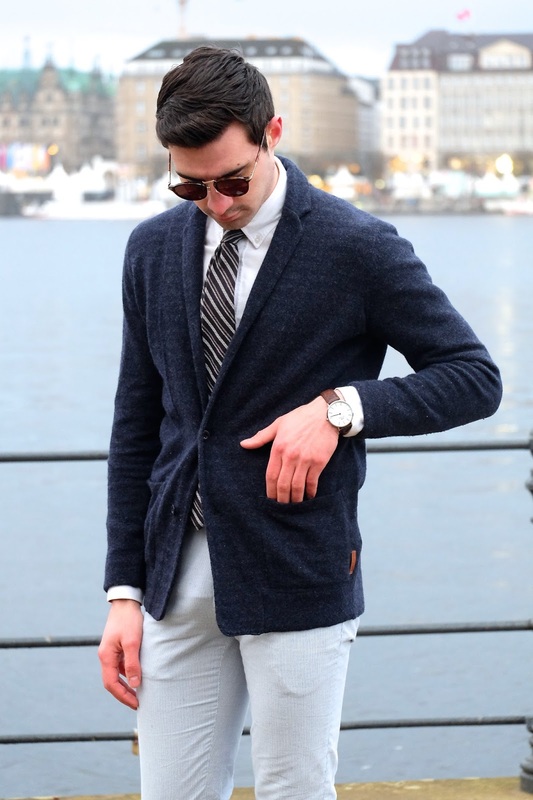 Shop some of my favorite knit blazers below. This knit blazer looks really dapper and suits you well! Great outfit!! so sleek and on point!